With the ability for Plex to stream Live TV shows and Movies from the internet using Channels, Plex now has something for everyone. The most catered for maybe Movie lovers, but Plex channels for Kids are also available, and so having Plex running in your home devices or smart TV will keep your kids entertained. 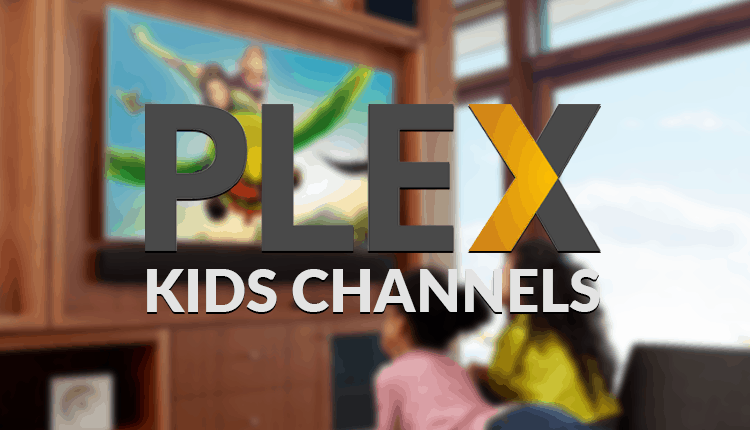 We have collected for you the best Plex Channels for kids, and these should be able to offer you diverse content that will not only keep kids entertained but also educate them. Some of them provide mature sitcoms, and you will also find yourself having delved into them! PBS Kids is a great option if you have kids, and you should actually install it. With it, you’ll get several shows and videos from PBS which is a big broadcasting station. It features children’s favorites such as Daniel Tiger’s Neighborhood, Dinosaur Train, Odd Squad, along with newer series including Ready Jet Go! Nature Cat, and Splash & Bubbles. The Channel uses a 360-degree approach and empowers children both in school and in life. This is yet another official channel for Plex, and Nickelodeon can be termed as the King when it comes to Kids content. This is one channel even, an adult would just sit and enjoy the fantastic shows and videos. The content offered is diverse, engaging and quality. Kids will be able to catch up with their favorite Thundermans, Gameshakers, Henry Danger, etc. Nick Jr. is a junior version of Nickelodeon, and it specializes in offering content for kids of a younger age and toddlers. The Plex channels allow your kids to hang out with SpongeBob and Legend of Korra among other popular shows and videos. It has a good mix of old and new episodes, with a few full seasons thrown in for good measure. Disney Channel for Plex is one of the best channels for giving your kids full entertainment. Every kid loves Disney, and this channel avails them TV shows, full episodes, films, and videos. They will have access to new Disney Shows as well as a few older classics like Duck Tales. Sesame Street is a Plex Channel with contents that stimulates your kids’ minds. It uses animation, puppets and live actors in its shows to help young children improve word recognition, socialization, problem-solving technique, and fundamental arithmetic problems. This is a great Plex Channel to install, and let your kids have fun while growing intellectually! National Geographic usually has a section of shows that are focused on kids, especially on Saturday morning. These shows let kids learn some amazing facts about animals, science, history, and geography while all the time is having fun. Nat Geo for Plex is, therefore, a great channel for kids to go on an adventure with fun-filled shows packed with amazing animals and National Geographic‘s stunning cinematography. While these channels will guarantee quality entertainment for kids, you may need a VPN to be able to watch some of them. This is because of geo-restrictions that are usually imposed on most streaming services. A VPN is a complicated matter for kids and so to avoid configuring for them every time they have to watch, you may consider a router-based VPN. Some service providers like IPVanish (Which is the VPN we recommend) offers you the ability to install a VPN on capable routers.